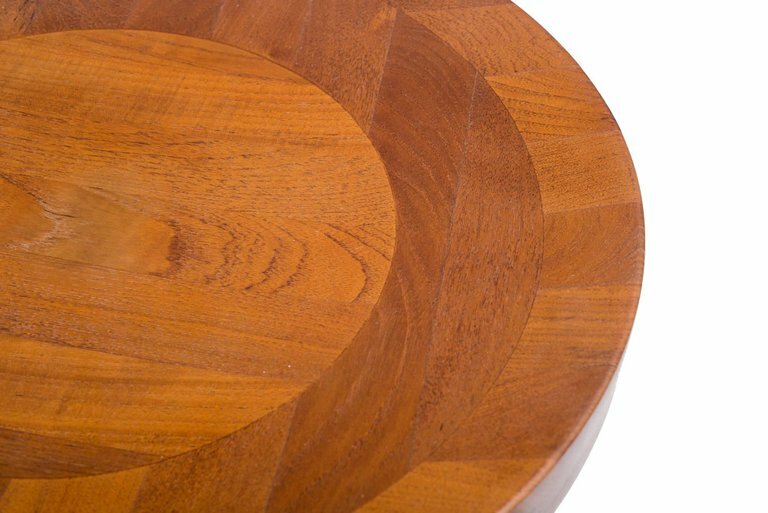 A solid staved teak tray table by Jens Quistgaard for Nissen Denmark. This piece is made of solid staves of teak laminated together to form a butcher block style construction. The tabletop is reversible and is concave on one side and flat on the other.